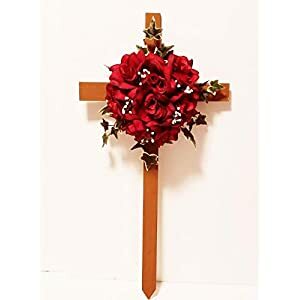 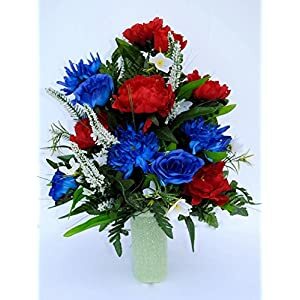 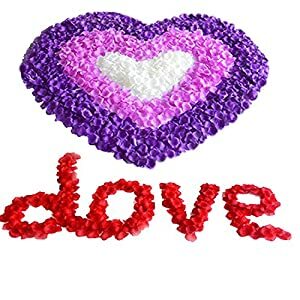 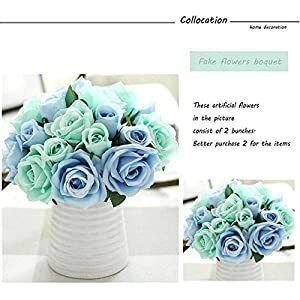 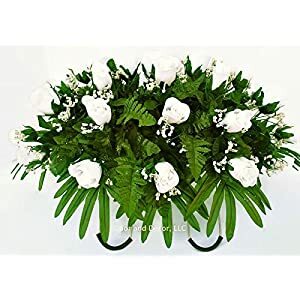 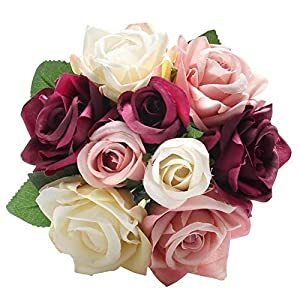 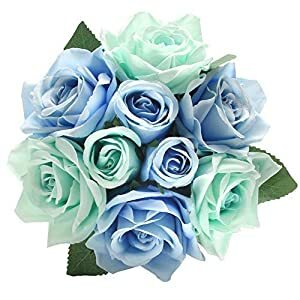 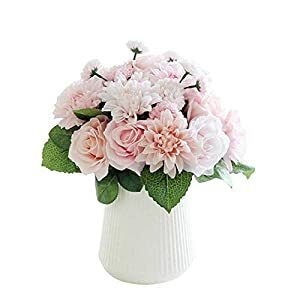 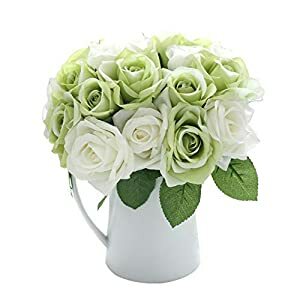 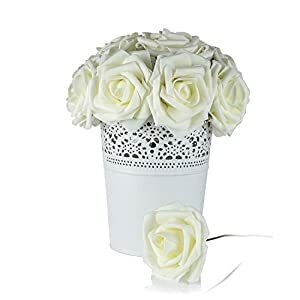 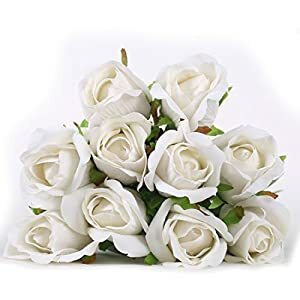 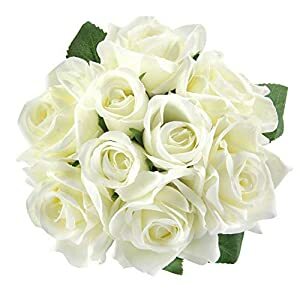 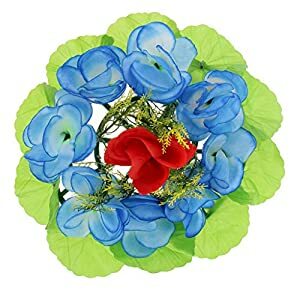 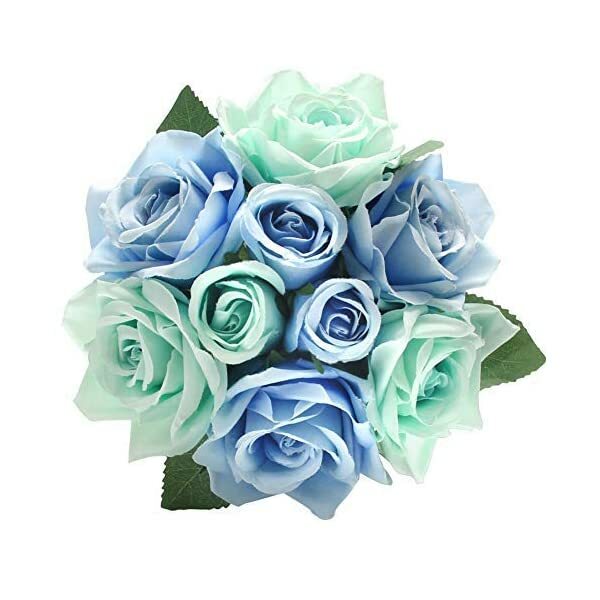 1.Lifelike artificial flower,pure and elegant, each rose flower bouquet has 9 heads.You can work with these silk roses to create many lovely bouquets for DIY floral arrangements decor that fits perfectly into your personal decor. 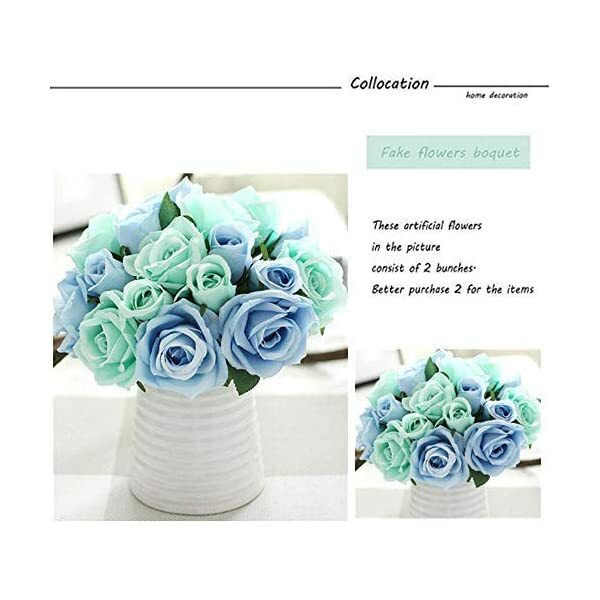 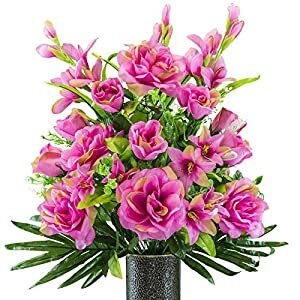 2.High quality and vibrantly colored with real touch, natural-looking.Bouquet height:Approx.10.62inches / 27cm. 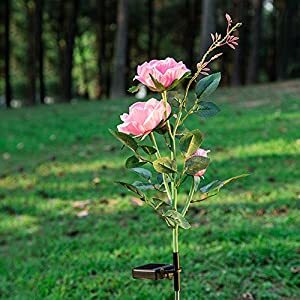 3.Material: Made of silk cloth,plastic pole, flower middle wire rod, can be bent shape or prune, no worry about the bended branches caused by transport.